This Agreement contains the terms and conditions that apply to purchases by customers from Dolphin Scuba Diving that will be provided to you (“Customer”) on orders for scuba equipment and/or related products and/or services and support sold by Dolphin Scuba Diving in Australia. 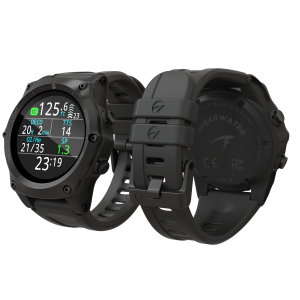 By accepting delivery of the scuba equipment, other products and/or services and support described on that invoice, the Customer agrees to be bound by and accepts these terms and conditions. If for any reason you are not satisfied with your Dolphin Scuba Diving purchase, you may return the system under the terms and conditions of Dolphin Scuba Diving’s return policy. THESE TERMS AND CONDITIONS APPLY (I) UNLESS THE CUSTOMER HAS SIGNED A SEPARATE PURCHASE AGREEMENT WITH DOLPHIN SCUBA DIVING, IN WHICH CASE THE SEPARATE AGREEMENT SHALL GOVERN; OR (II) UNLESS OTHER DOLPHIN SCUBA DIVING STANDARD TERMS APPLY TO THE TRANSACTION. These terms and conditions are subject to change without prior written notice at any time, in Dolphin Scuba Diving’s sole discretion. Other Documents. Other than as specifically provided in any separate formal purchase agreement between Customer and Dolphin Scuba Diving, these terms and conditions may NOT be altered, supplemented, or amended by the use of any other document(s). Any attempt to alter, supplement or amend this document or to enter an order for product(s) which is subject to additional or altered terms and conditions will be null and void, unless otherwise agreed to in a written agreement signed by both Customer and Dolphin Scuba Diving. Governing Law. THIS AGREEMENT AND ANY SALES THEREUNDER SHALL BE GOVERNED BY THE LAWS OF AUSTRALIA. Payment Terms; Orders; Quotes; Interest. Terms of payment are within Dolphin Scuba Diving’s sole discretion, and unless otherwise agreed to by Dolphin Scuba Diving, payment must be received by Dolphin Scuba Diving prior to Dolphin Scuba Diving’s acceptance of an order. Payment for the products and services and support may be made by credit card, wire transfer, or some other prearranged payment method unless Dolphin Scuba Diving has agreed to credit terms. Dolphin Scuba Diving may invoice parts of an order separately. Orders are not binding upon Dolphin Scuba Diving until accepted by Dolphin Scuba Diving. Any quotations given by Dolphin Scuba Diving will be valid for the period stated on the quotation. Customer agrees to pay interest on all past-due sums at the highest rate allowed by law. Shipping Charges; Taxes. Separate charges for shipping will be shown on the invoice(s). When purchasing on our shopping cart, overseas orders may have an inaccurate shipping charge. Unless Customer provides Dolphin Scuba Diving with a valid and correct tax exemption certificate applicable to the product ship-to location prior to Dolphin Scuba Diving’s acceptance of the order, the Customer is responsible for sales and all other taxes associated with the order, except for Dolphin Scuba Diving’s taxes on Dolphin Scuba Diving’s net income. If applicable, a separate charge for taxes will be shown on the invoice. Risk of Loss. Title to products passes from Dolphin Scuba Diving to Customer on shipment from Dolphin Scuba Diving’s facility. Loss or damage that occurs during shipping by a carrier selected by Dolphin Scuba Diving is Dolphin Scuba Diving’s responsibility. Loss or damage that occurs during shipping by a carrier selected by Customer is Customer’s responsibility. Warranties. THE LIMITED WARRANTIES APPLICABLE TO SCUBA EQUIPMENT ARE INCLUDED FROM THE MANUFACTURER OF THE EQUIPMENT IN THE DOCUMENTATION PROVIDED WITH THE PRODUCTS. THERE ARE NO WARRANTIES FOR SERVICES. DOLPHIN SCUBA DIVING MAKES NO EXPRESS WARRANTIES EXCEPT THOSE STATED IN DOLPHIN SCUBA DIVING’S APPLICABLE WARRANTY STATEMENT IN EFFECT ON THE DATE OF THE INVOICE. ANY SUCH WARRANTIES WILL BE EFFECTIVE, AND DOLPHIN SCUBA DIVING WILL BE OBLIGATED TO HONOR ANY SUCH WARRANTIES, ONLY UPON DOLPHIN SCUBA DIVING’S RECEIPT OF PAYMENT IN FULL FOR THE ITEM TO BE WARRANTED. Return Policies. 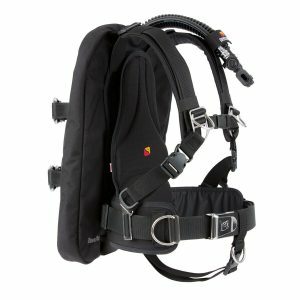 Any equipment purchased from Dolphin Scuba Diving may be returned for a refund of the cost of the product, excluding any shipping charges, if returned with all original packaging and literature as long as the product is not used and is delivered to Dolphin Scuba Diving within 14 days of purchase. Refunds are not available for courses booked but not completed within 12 months or cancelled with less than 48 hours notice. A reschedule fee of $200 per person will be applied for any no-shows or late (less than 48 hours) cancellations. Exchanges. Dolphin Scuba Diving will exchange products or portions of a product within 30 days of purchase as long as the product is in not used in any way. Exchanges do not apply to any custom ordered or custom fit items and all original packaging and literature must accompany returned products and all products must be in their new condition. Shortages and Shipping Damage. It is the responsibility of the Customer to check all packages for accuracy of contents within 48 hours of receipt. No items shall be invoiced unless shipped. If any shortages occur, it is the responsibility of the Customer to contact Dolphin Scuba Diving with 48 hours of receipt of package to file a claim for missing goods. In the case of shipping damage, the Customer will file a claim with the shipper. Products. 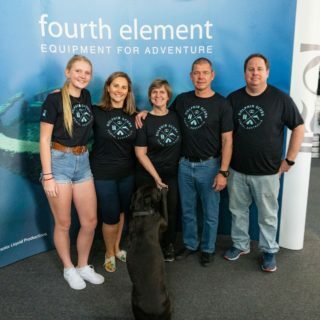 Dolphin Scuba Diving continually upgrades and revises its products and service offerings to provide Dolphin Scuba Diving customers with new products and service offerings. In the event that an ordered product is out of stock, Customer will be contacted prior to any substitutions. Dolphin Scuba Diving acts as a retailer. Any warranty and technical support provided on third-party products purchased through Dolphin Scuba Diving’s are provided by the original manufacturer and not by Dolphin Scuba Diving. These products may be returned only in accordance with the return policy in effect on the date of invoice. The warranties and technical support may vary from product to product. Limitation of Liability. DOLPHIN SCUBA DIVING DOES NOT ACCEPT LIABILITY BEYOND THE REMEDIES SET FORTH HEREIN, INCLUDING ANY LIABILITY FOR PRODUCTS NOT BEING AVAILABLE FOR USE OR THE PROVISION OF SERVICES AND SUPPORT. DOLPHIN SCUBA DIVING WILL NOT BE LIABLE CONSEQUENTIAL, SPECIAL, INDIRECT, OR PUNITIVE DAMAGES, EVEN IF ADVISED OF THE POSSIBILITY OF SUCH DAMAGES, OR FOR ANY CLAIM BY ANY THIRD PARTY EXCEPT AS EXPRESSLY PROVIDED HEREIN. 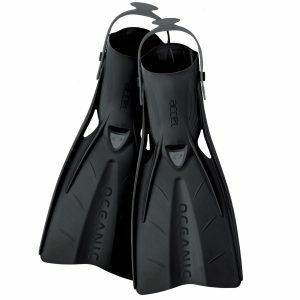 CUSTOMER AGREES THAT FOR ANY LIABILITY RELATED TO THE PURCHASE OF PRODUCTS OR SERVICES BUNDLED WITH THE PRODUCTS, DOLPHIN SCUBA DIVING IS NOT LIABLE OR RESPONSIBLE FOR ANY AMOUNT OF DAMAGES ABOVE THE AGGREGATE DOLLAR AMOUNT PAID BY CUSTOMER FOR THE PURCHASE OF PRODUCTS OR SERVICES UNDER THIS AGREEMENT.Ã¡ SCUBA DIVING EQUIPMENT SHOULD ONLY BE USED BY CERTIFIED SCUBA DIVERS.Ã¡ DOLPHIN SCUBA DIVING DOES NOT ACCEPT LIABILITY FOR THE USE OF SCUBA EQUIPMENT BY NON CERTIFIED INDIVIDUALS. Binding Arbitration. ANY CLAIM, DISPUTE, OR CONTROVERSY (WHETHER IN CONTRACT, TORT, OR OTHERWISE, WHETHER PREEXISTING, PRESENT OR FUTURE, AND INCLUDING STATUTORY, COMMON LAW, INTENTIONAL TORT AND EQUITABLE CLAIMS) AGAINST DOLPHIN SCUBA DIVING, its agents, employees, successors, assigns or affiliates (collectively for purposes of this paragraph, “Dolphin Scuba Diving”) arising from or relating to this Agreement, its interpretation, or the breach, termination or validity thereof, the relationships which result from this Agreement (including, to the full extent permitted by applicable law, relationships with third parties who are not signatories to this Agreement), Dolphin Scuba Diving’s advertising, or any related purchase SHALL BE RESOLVED EXCLUSIVELY AND FINALLY BY BINDING ARBITRATION. The arbitration will be limited solely to the dispute or controversy between Customer and Dolphin Scuba Diving. Any award of the arbitrator(s) shall be final and binding on each of the parties, and may be entered as a judgment in any court of competent jurisdiction. Service and Support. Dolphin Scuba Diving will provide general technical support to Customer in Australia, in accordance with the then-current technical support policies in effect. Service offerings may vary from product to product. Dolphin Scuba Diving has no obligation to provide service or support until Dolphin Scuba Diving has received full payment for the product or service/support contract for which service or support is requested. Not all products listed on this website are available for export outside Australia due to distribution agreements in certain territories.